(OAKLAND, CA) California’s Department of Finance announced on Tuesday, April 4 that Laney College was among 14 institutions to receive a $1 million Innovation in Higher Education Award from the state’s $25 million special fund. 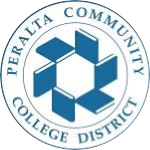 The award promotes innovative planning at community colleges throughout California. Laney was selected for its ingenious 5-year proposal to help diverse students engaged in science, technology, engineering, and mathematics (STEM) education, succeed by providing them with greater access to high quality, touch-technology and SMART classroom cyber-learning environments beginning in the gateway discipline of biology. “This award will help bridge the digital divide that exists in many of the communities we serve,” said Laney College President Tammeil Gilkerson. “At Laney, we’re about preparing our students for the real world and real jobs, and this award is one of many that can help us ensure all students receive a quality education that can lead to high-demand jobs in technology, biotechnology, bio manufacturing, and others,” Gilkerson added. Innovation in Higher Education Awards highlight California’s interest in community college efforts to redesign curriculum and instruction; allow students to make progress toward completion of degrees and credentials. And, address financial need, including by increasing the number of students who apply for financial aid or reducing the costs of books and supplies. To learn more about Laney College visit, www.laney.edu.